Has your school done something amazing for pollinators? Why not nominate your school for the Year of Green Action Bees’ Needs Champions Awards? 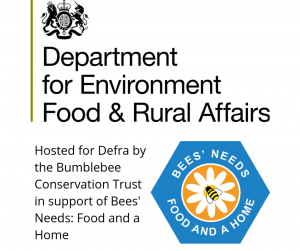 Bees’ Needs Week is an annual event coordinated by Defra, working alongside charities, businesses, conservation groups and academic institutions to help raise awareness of bees and other pollinators. It is part of the National Pollinator Strategy in England’s wider work for bees and other pollinators. From 8-14 July, London’s world-famous shopping destination will be renamed ‘Carnabee Street’ and transformed into a hive of activity in support of the campaign. Come down to enjoy a host of educational and fun games, installations and talks. Bees and other pollinators are vital to growing lots of our favourite foods and for plants to flourish in our fields and gardens. Bees’ Needs Week is a great opportunity for you to find out more about how important pollinators are and how you can support them. Whether you are a farmer, a gardener, or a manager of urban or amenity spaces, there is something you can do to help support our valuable insect pollinators. Take a look at these case studies which are fantastic examples of the 5 simple actions being put into action. Spend 10 minutes in the sun to count insects for the UK’s Pollinator Monitoring Scheme (PoMS), or read our information sheets to learn more about what you can do. Get involved on social media using #beesneeds and #YearOfGreenAction. For media enquiries, please contact the Defra press office on 020 8225 7318. 2019 is the Year of Green Action, a year-long project to see more people from all backgrounds involved in projects to improve the natural world. Helping pollinators is an easy way to take part. Whether you have a window box or a garden there are simple things you can do to help. Further information is available on the Year of Green Action website. The annual Bees’ Needs Champions Awards took place at Kew Gardens on November 13th 2018, where Lord Gardiner, Minister for Rural Affairs and Biosecurity, presented awards to 22 of our 27 winners, who have all done tremendous work to help save and raise awareness about pollinators. Huw Merriman MP gave a keynote speech on the importance of pollinators and the All Party Parliamentary Group for Bees’ work to save them, followed by presentations by our partners about their projects. We will be looking for Bees’ Needs Champions in 2019. If you would like to nominate your own project or another project you believe deserves an award, then we will be asking for nominations on this website in the late summer. As part of Bees’ Needs Week and the Year of Green Action we are running our Year of Green Action Bees’ Needs Champions Awards to recognise schools and pre-schools who help protect pollinators. If your school has done something to help protect or raise awareness of pollinators, we want to hear about it! Projects don’t have to be big or have a lot of investment, they just need to benefit pollinators in some way. This could include a host of things from creating habitats to campaigning. Maybe your school has created a wildflower garden or set up a lunchtime club, gardening club, or even a beekeeping club. You might have worked with others in your local community. Previous winners include St Alban’s CE Primary School in Hampshire whose “Pollinator Promise” asks people to pledge to plant a pot or 1 x 1 metre area to grow pollinator-friendly plants. You can nominate your school or pre-school for a Year of Green Action Bees’ Needs Champions Award by downloading and filling in the application form and sending it to beesneeds@defra.gov.uk. The award is open to all schools in England. The deadline for entries is 19th May. 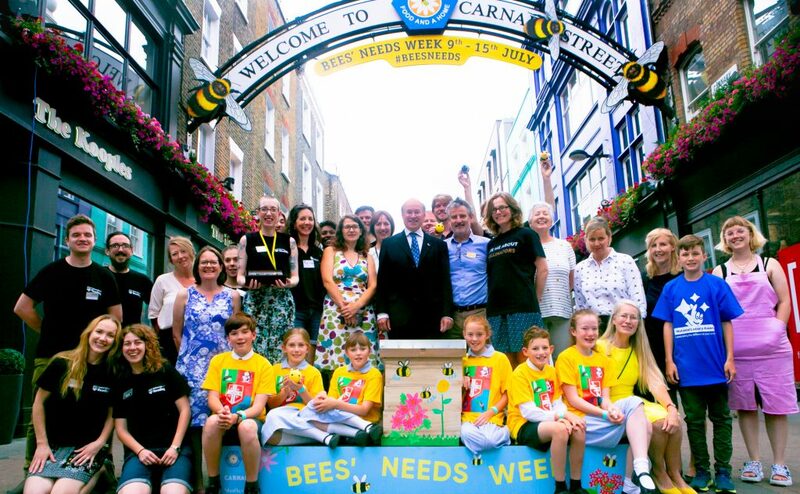 We’d love for some schools to come along to ‘Carnabee Street’ in London during Bees’ Needs Week so please also get in touch if you’d be interested in coming along by emailing beesneeds@defra.gov.uk. Academic partners include the Centre for Ecology & Hydrology, Bristol University, the University of Cambridge, the University of East Anglia and the University of Reading.